AASD BARGAINS FOR MEMBERS AFFECTED BY THE JULY 1 REDUCTION IN FORCE. AASD reached an agreement with the District regarding impacts and effects of the reduction in force that affects a few of our bargaining unit members on July 1, 2019. Click here for a copy of the Memorandum of Understanding for Classified and for Certificated. ACSA "ADMINISTRATOR OF THE YEAR" AWARDS. ACSA's Awards Committee has completed the challenging task of selecting the statewide Administrator of the Year award recipients. AASD is pleased to report Patricia Crowder, Region 18, is the Retired Administrator of the Year at the state level! Congratulations to Pat! CERTIFICATED WORKLOAD WORK GROUP UPDATE. The certificated workload work group met in December to review feedback provided by members. A follow up meeting was to be held in February, but it interfered with the SBB process and was canceled. The group will meet again in April. The workload feedback form is available between now and April 22 to provide feedback on current workload issues/concerns. Would you like a copy of Pam Allyn’s book, Every Child a Super Reader? (Pam was the keynote speaker at the conference in March.) If so, please e-mail Jim Costello, AASD Office Clerk, at jim@aasdcs.org and ask for a copy which can be sent to you via school mail. First come, first served. DEADLINE APPROACHING! AASD IS AWARDING $750 SCHOLARSHIPS TO CHILDREN OF OUR AASD MEMBERS IN GOOD STANDING! The AASD Scholarship Committee is pleased to announce that sons/daughters (including step-sons and step-daughters) of AASD Members in Good Standing who are graduating seniors this year are eligible for AASD scholarships for $750 each to be used towards higher education. This is an increase from previous years where the scholarships were $500! The AASD Scholarship Program is funded by dues from AASD Retired Members and from funds raised last year at our first annual Casino Night fundraiser. All members/students who apply and are qualified will receive a $750 scholarship. The application submission deadline is April 16, 2019. Please click this link for information on how to apply. COME AND JOIN US FOR EMPOWER HOUR! CHECK OUT OUR REMAINING EVENTS FOR 2018-19! BRING A COLLEAGUE! Listed below are the remainder of our upcoming Empower Hour events for 2018-19! Please share this information with any other colleagues who may be interested! Spread the word! Do you have a personal safety strategy? How do you avoid various potentially violent situations? What should you do if you're caught in one? Come join the Empower Hour group in this interactive workshop to consider aspects of personal safety emphasizing strategy. Even if you attended last year, come back and join us again for some personal growth and fun. The instructor is Dr. Jolie Pickett, Principal of Garfield High School in the San Diego Unified School District who previously taught TangSooDo Karate and self-defense for over 20 years. A light dinner and beverages will be served from 5:00 to 5:30 p.m. The workshop will begin at 5:30 p.m. Door prizes will be given at the end of the workshop. Wear your Empower Hour T-Shirt and get an extra door prize ticket. Or buy an Empower Hour shirt at the event and get an extra ticket! This workshop is sponsored by CALPRO Financial Network, VEBA, ACSA Region 18 and AASD. Come and join us for a fun evening of networking and inspiration and our last Empower Hour Happy Hour of this school year! Hear a great inspirational speaker and network with colleagues – or just relax! It’s a great location! Grab a colleague and bring her along with you! Appetizers and door prizes provided. Wear your Empower Hour T-shirt and get an extra door prize ticket. Or buy an Empower Hour shirt at the event and get an extra ticket! This event is sponsored by CALPRO Financial Network, VEBA, ACSA Region 18 and AASD. RSVP required. Please only sign up if you are able to attend. If you sign up and plans change, please cancel your reservation via Eventbrite. This is a fun night of networking and making something really cool! 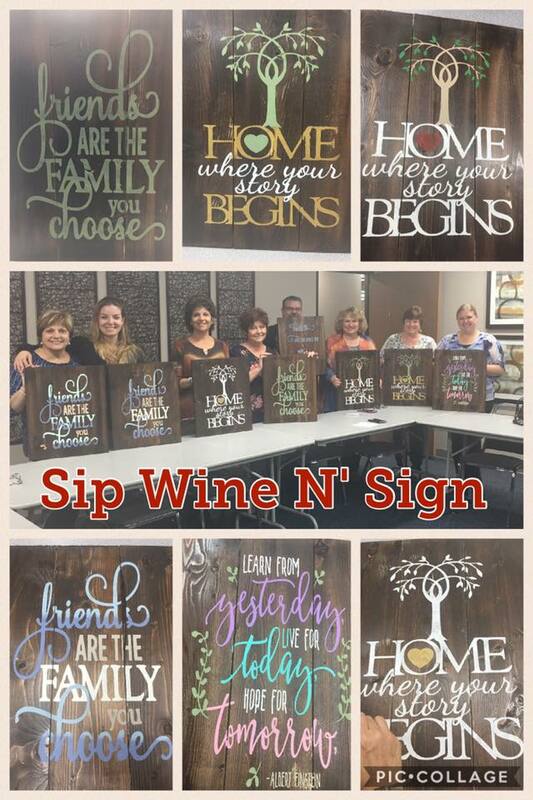 Not only will you get a light dinner, beverages and have a chance at door prizes, you will go home with a really cool sign of your choice for your home, office or as a gift! There are options of different size signs (one large; two small; etc.). This is our 5th time offering this event and it’s been so much fun! See attached pictures of a prior event and sign choices for this event. Light dinner, beverages and door prizes are provided by the sponsors. Wear your Empower Hour T-shirt and get an extra door prize ticket. Or buy an Empower Hour shirt at the event and get an extra ticket! There is a cost per person of approximately $40-$55 (depending on which sign/size is selected) plus Eventbrite fees which covers the cost of all the supplies to make the sign. The fee is paid at the time of sign up via Eventbrite. You will also choose your sign(s) and the size of the sign at the same time (choice of 10 different sign patterns). 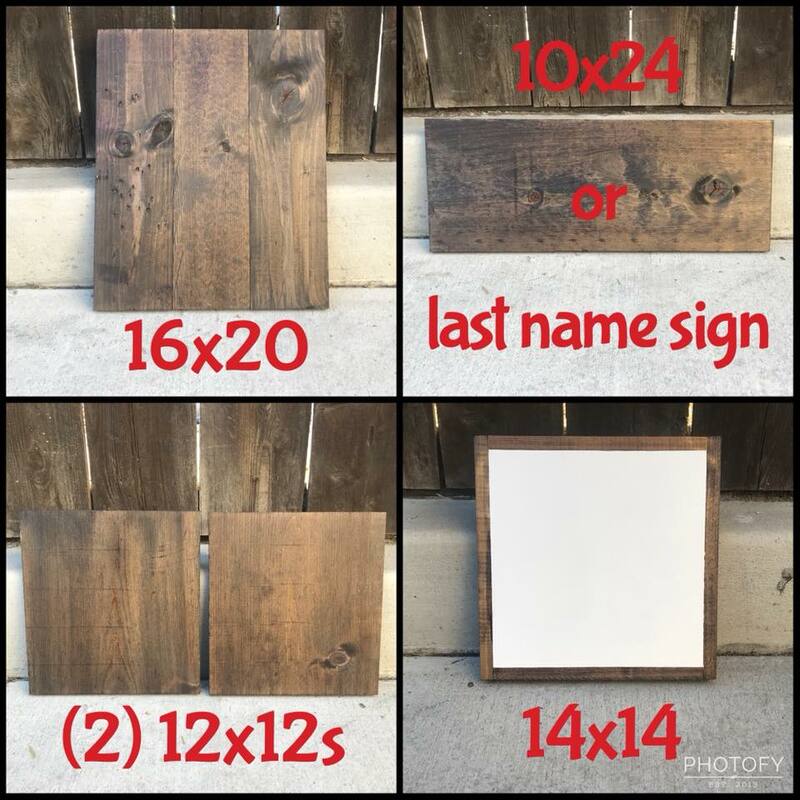 There is also an option of selecting two smaller signs for the same price as one larger one. This event is sponsored by CALPRO, VEBA, ACSA Region 18 and AASD. RSVP required by May 7 and seating is limited. No refunds for cancellations will be issued after May 6. If you would like to bring a friend, family member, etc., please feel free to sign them up! First come, first served! Join the Empower Hour group and VEBA for an evening of healthy cooking tips and tricks at the VEBA Resource Center. Chef Leslie Myers will prepare and serve a sampling of food (heavy taste) and provide information on nutrition for women who have busy careers. Attendees will also be provided with healthy recipes to take home and try. The class is interactive and will be a lot of fun. Chef Leslie's website is https://foodsensenow.com/ Check it out! Come and join us for an amazing evening! Wear your Empower Hour T-Shirt and get an extra door prize ticket. Door prizes will be given away at the end of the class. Due to the planning involved in this class, you must sign up to attend and the sign up cut off is MAY 14, 4PM. Please only sign up if you intend to attend. If your plans change, please cancel your reservation by MAY 14. This event is sponsored by VEBA, ACSA Region 18 and AASD. DEADLINE APPROACHING! CAL COAST CARES FOUNDATION HIGH SCHOOL SCHOLARSHIP PROGRAM. Cal Coast has extended the deadline for their two high school Scholarship programs. The total in high school scholarships is $30,000 (awards are between $2,000-$2,500 each) and total in foster student scholarship is $30,000 (awards are $2,000 each). For the foster students who receive a scholarship in 2019, if they remain eligible, they can apply and receive a second year of funding in 2020, which can help establish them at school. Click here for the application for high school seniors, and click here for the foster student application.